This is the only ride-on Mack truck. 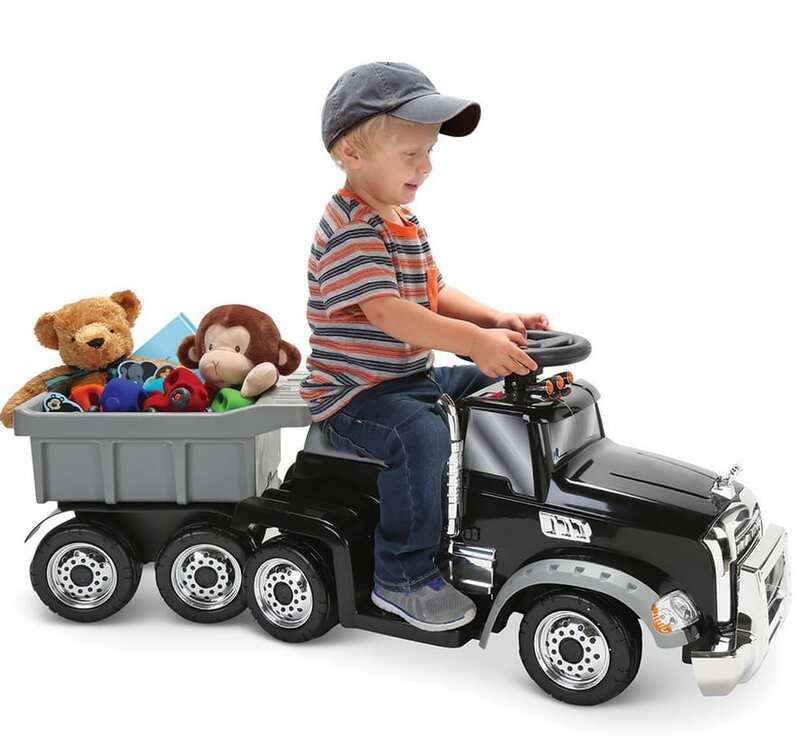 Powered by a 6-volt rechargeable battery that provides a top speed of 3/4 mph with forward/reverse movement, the truck seats a child weighing up to 44 lbs. in a “cab” that places the feet on running boards for safe travels. The truck hauls a four-wheeled trailer that accommodates balls, blocks, or plush animals and empties manually by tilting it upwards. The steering wheel has a button for a working horn.